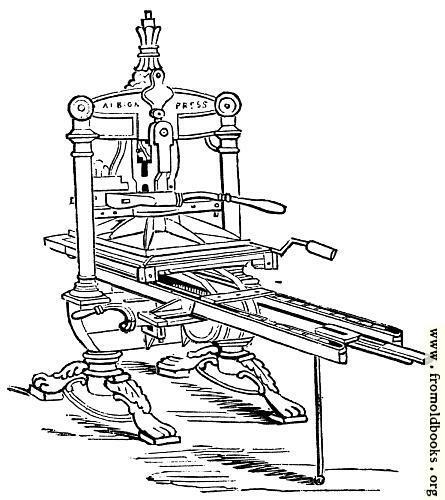 “Very little improvement in the construction of this instrument took place from the first introduction of the art into Europe till the late Earl Stanhope applied the powers of his mind to the subject, and introduced a new press of a decidedly superior construction. 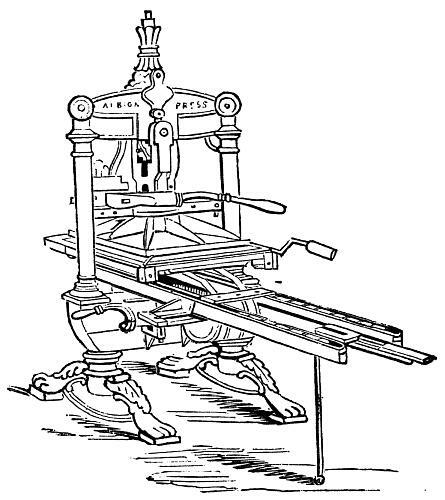 The old press was made of wood, with an iron screw that had a bar fitted in it; to the lower end of this screw was attached, horizontally, a flat piece of woos, called the platen, which was brought down by means of the screw, and pressed the paper upon the face of the types; and thus the impression was obtained. 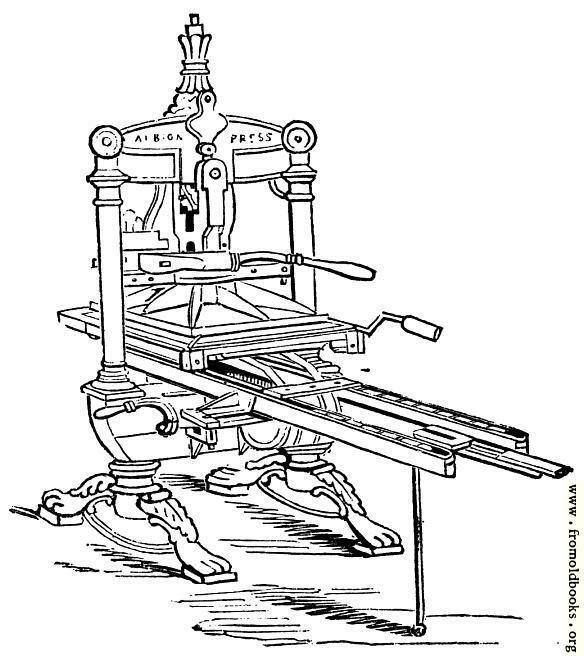 This press has, however, entirely given place to presses made of iron. This illustration isn’t a Stanhope Press – it’s an Albion – you can see the name Albion Press written on it. 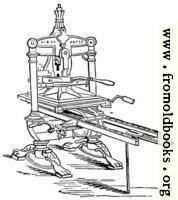 Stanhope presses look quite different. See for example photographs at www.poltoonpress.com.